Beads are 20mm with 4mm hole for easy stringing. 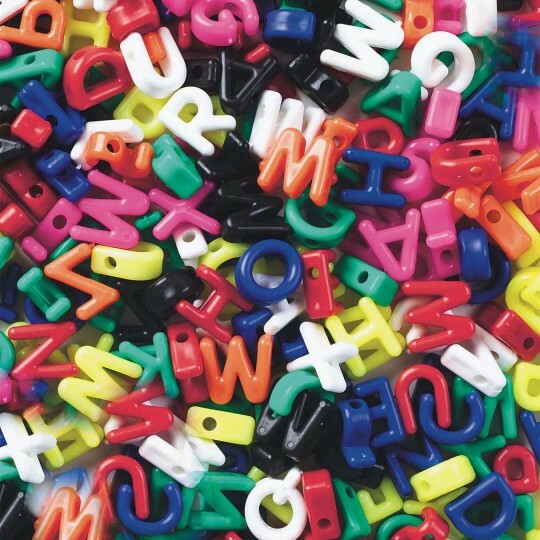 Colorful letters, perfect for jewelry projects, sorting, letter recognition, collage art and more. 288 assorted color beads per bag. Loved these the bright colors and the large size.